Important information for trip to Tibet Traveling in Tibet is an incredible journey which gives an opportunity to enjoy fantastic views of the highest mountains, to meet nomadic Tibetan pilgrims, to drive on world’s highest plateau, to visit ancient Buddhist monasteries which keep ancient spirit and traditions where category of time looses its sense giving it to spirit. Trip to Tibet is a journey of a lifetime for those who have sense of adventure, who ready to take challenge as trips on this ancient spiritual land is well worth of effort due to tough natural conditions and poor infrastructure development. Tibet was opened to tourism in 1985. Till that time the ancient land of Tibet avoided influence of outside World preserving its unique culture, religion and lifestyle based on centuries’ old traditions. The infrastructure of the tourism industry is still very basic. Please, do not expect the standard which you are accustomed to back home. Accept this land like it is, enjoy its ancient spirit, come as friend with open heart and you’ll enjoy the trip and Tibet will stay with you forever in your heart. 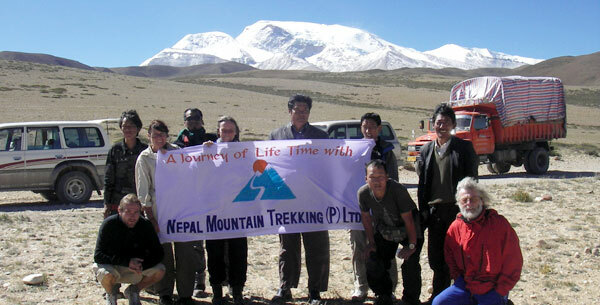 Nepal Mountain Trekking will make every effort under the circumstances to ensure your safe and memorable trip in Tibet. Casual wear and comfortable walking shoes are the must for Tibet. Be sure to bring warm clothing as nights and early mornings can be quite chilly and cold in winter. Bring from home all personal items such as required medicine, cosmetics, toilet items, etc. that you will need during the trip as these are difficult and often impossible to get in Tibet. Kathmandu - Lhasa rout map (for you to follow the rout and to have an idea where you are going and have been each day). As you are traveling over high terrain, you are likely to experience some of the minor symptoms and discomfort of altitude sickness (headache, loss of appetite, dizzy) until your body adjusts to the elevation. Adjustment of the body to altitude can take from a few hours to a couple of days, depending on an individual health condition. Take it lightly, but drink plenty of water or other non-alcoholic drinks as proper hydration is necessary for acclimatization. We also recommend you to carry a stir of diamox tablets. The unit of currency is Yuan. US$1 = 8 Yuan. Money can be exchanged at the Bank of China in Zhangmu, Shigatse and Lhasa. The hotels also can change money for you. All credit cards are accepted at Shigatse and Lhasa. The airport departure tax at Kathmandu Airport is approx. US$ 15 per person. In sector Lhasa-Kathmandu this tax is included in the ticket. Nepal Mountain Trekking does it best to organize the trip in a very professional way for you to have safe, fun and memorable experience in Tibet. However all the programs in Tibet are conducted strictly under the rules and regulations of Tibet Tourism Bureau. Therefore, Nepal Mountain Trekking or its Tibetan counterpart shall not be responsible for any change and alterations in the itinerary due to unavoidable circumstances such as landslide, road blockage, flood snow, political unrest, flight cancellation, delay arrival, sickness or accidents. Any extra cost which arises during the trip due to some unexpected circumstances shall be borne by the clients on the spot. We strongly recommend you to have full insurance against medical and personal accidents. A cancellation insurance is highly recommended as well.